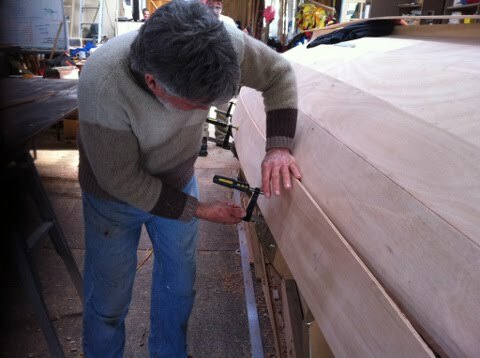 'A major landmark passed today - the sheerplanks are now glued in place with appropriare celebrations afterwards -photos and a cuppa ! 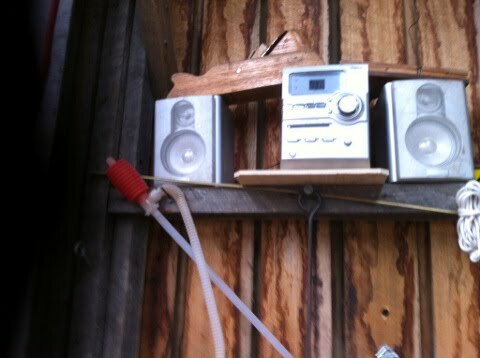 The last pic would suggest that the real highlight of the day was the installation of a dedicated shed radio. Who chooses the station?